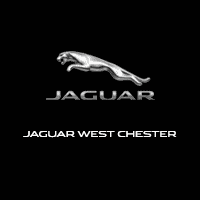 For those in Millbourne looking for a new Jaguar SUV or Jaguar sedan, Jaguar West Chester has a wide variety of new Jaguar models for sale. Find out why Kelley Blue Book is raving about the Jaguar XE specs, check out a Jaguar XJ for sale, or take a look at the Jaguar XE price offers below. For more information please look at our Auto iPacket... it really has so much information on the exact equipment on the one you're looking at. Call or email us for any further questions about an unit.. Just give us the stock number when you call  610.436.0600.Santorini Black 2018 Jaguar XF 20dBluetooth / Handsfree Calling.AWD 8-Speed Automatic 2.0L I4 16V TurbochargedFor more information please look at our Auto iPacket... it really has so much information or exactly the equipment on every car. Call or email us for any further questions about an unit.. Just give us the stock number when you call. 610.436.0600. For more information please look at our Auto iPacket... it really has so much information on the exact equipment on the one you're looking at. Call or email us for any further questions about an unit.. Just give us the stock number when you call  610.436.0600.Santorini Black 2018 Jaguar XE SBluetooth / Handsfree Calling.AWD 8-Speed Automatic 3.0L V6 24V SuperchargedFor more information please look at our Auto iPacket... it really has so much information or exactly the equipment on every car. Call or email us for any further questions about an unit.. Just give us the stock number when you call. 610.436.0600. For more information please look at our Auto iPacket... it really has so much information on the exact equipment on the one you're looking at. Call or email us for any further questions about an unit.. Just give us the stock number when you call  610.436.0600.Fuji White 2018 Jaguar XF 20dBluetooth / Handsfree Calling.AWD 8-Speed Automatic 2.0L I4 16V TurbochargedFor more information please look at our Auto iPacket... it really has so much information or exactly the equipment on every car. Call or email us for any further questions about an unit.. Just give us the stock number when you call. 610.436.0600. Contact us to schedule a test drive when you are ready to show off a brand new Jaguar on your next night out to dinner!